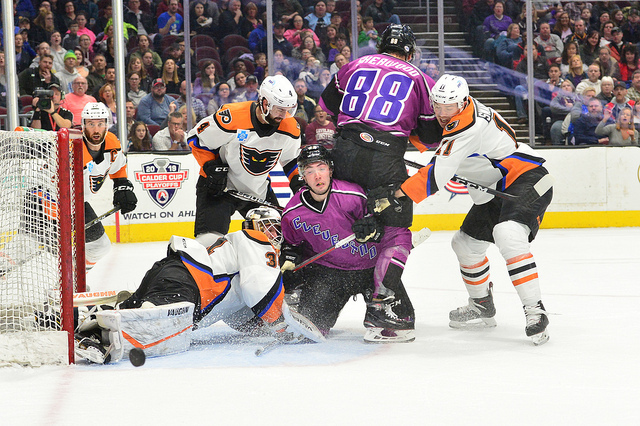 Cleveland, OH – Alex Lyon had one of the best performances of his career in a 42-save effort that included a number of point-blank and ten-bell stops in an impressive 3-2 shootout win at the Cleveland Monsters on Saturday night. Lyon moved and dove back and forth tracking one big Monsters chance after another in a night almost reminiscent of his epic 94-save marathon win in five overtimes in a playoff game at Charlotte last year. He was THAT good. 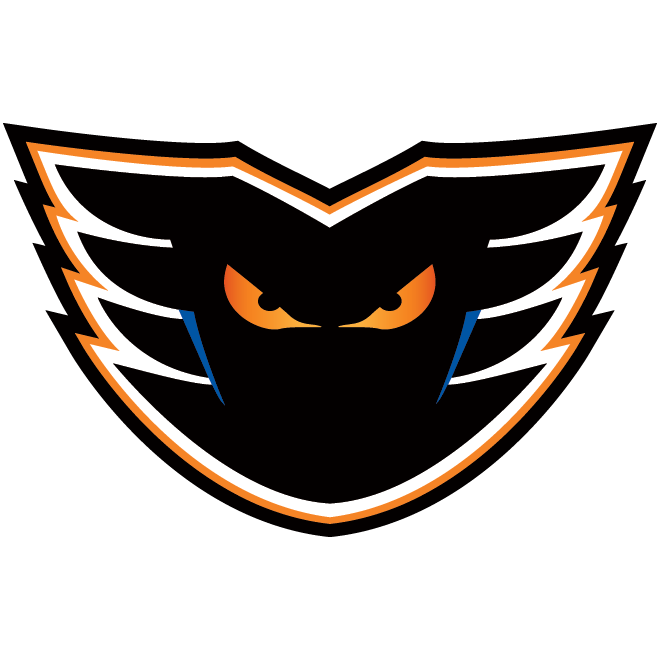 The Phantoms were out shot in the game 44-23 but a solid team effort, backed by Lyon, pushed Kerry Huffman’s team to a key victory that keeps Lehigh Valley (34-28-7) in contention in the Atlantic Division playoff chase. Lyon potentially saved his very best for last as he pulled the splits to his left and somehow made an amazing glove denial on Dan DeSalvo on the backdoor near the end of a wild and frenetic overtime in which the third-year pro was forced to make seven stops. Cleveland (34-26-9) extended its point-streak to seven games (5-0-2) with only its second shootout loss of the season. 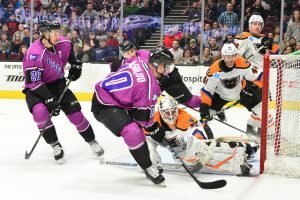 Mike Huntebrinker arrived from the Reading Royals earlier in the afternoon and ultimately decided the game with his shootout conversion in the first round against Cleveland goalie Brad Thiessen. Byron Froese and Pascal Laberge both lit the lamp in the first period as the Phantoms forged a 2-0 lead. Froese’s lamplighter in the opening three minutes extended his goal streak to three games and his point streak to five. Froese also assisted on the goal by Laberge, just past the 12 minute mark, by connecting with Chris Conner up the right wing. Conner’s centering pass to Laberge appeared to hit the 20-year-old rookie’s stick about midway up while he was being dragged down from behind by a Monsters defender. The Laberge deflection forward knuckled through Thiessen for a 2-0 lead. Laberge had a hat trick including an overtime winner on Wednesday at Rochester and now has four goals this week as well as five on the season. 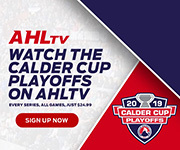 Zac Dalpe (30th) struck early in the second period and Ryan MacInnis picked off the puck in the corner and moved to the net to strike top shelf early in the third for the equalizer. But the Monsters, despite some tremendous chances, could not find the go-ahead goal. With seven games remaining in the regular season, the Phantoms trail Providence and Hershey by six points each for the last playoff spot. 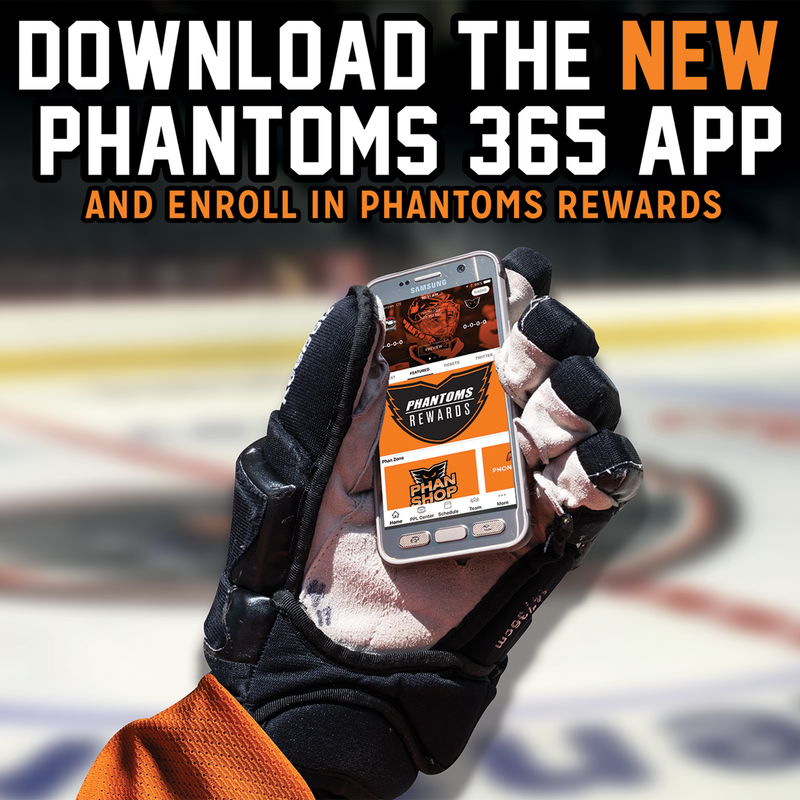 The Phantoms have a game-in-hand on the Providence Bruins who lost at Hershey on Saturday night 2-1. 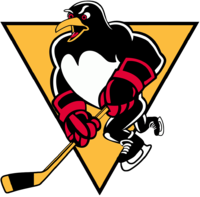 Lehigh Valley also moved to within one point of the fifth-place Wilkes-Barre/Scranton Penguins whom the Phantoms would also need to pass. 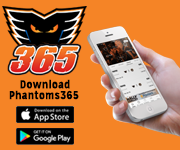 The Phantoms continue their road-trip on Tuesday and Wednesday nights at the Charlotte Checkers before returning to PPL Center for a pair of home games on Saturday, April 6 and Sunday April 7 against the Wilkes-Barre/Scranton Penguins. 2nd Period-3, Cleveland, Dalpe 30 (Barach, Sherwood), 0:40. 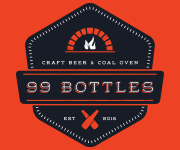 Penalties-Bardreau Lv (slashing), 6:29; Texier Cle (slashing), 6:57; Scott Cle (delay of game), 11:10; Aube-Kubel Lv (roughing), 13:37; Friedman Lv (delay of game), 16:05; MacInnis Cle (boarding), 16:05. 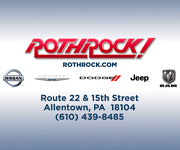 Shootout – Lehigh Valley 1 (Huntebrinker G, Aube-Kubel NG), Cleveland 0 (Dalpe NG, Letestu NG, Texier NG). 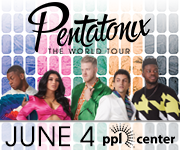 Shots on Goal-Lehigh Valley 8-6-3-5-1-23. Cleveland 10-16-11-7-0-44. 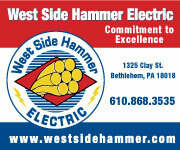 Power Play Opportunities-Lehigh Valley 0 / 2; Cleveland 0 / 2. 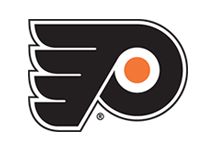 Goalies-Lehigh Valley, Lyon 16-15-3 (44 shots-42 saves). Cleveland, Thiessen 9-5-3 (22 shots-20 saves). Linesmen-Denis Urban (50), Trent Williams (81). 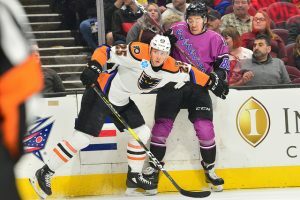 NEXT TIME OUT: The Lehigh Valley Phantoms continue their road-trip Tuesday and Wednesday at the Charlotte Checkers.